Stefan and I went for a nice long walk in the woods. 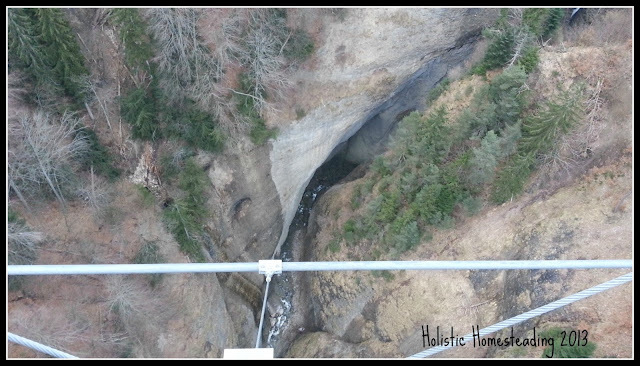 We started off our walk crossing our new bridge, that now connects two of our villages, crossing over this amazing ravine. Have a warm Wednesday where ever you are. P.S. We have been a bit quiet on this side, but we are still busy with garden plans which we will have to share with you later this week, do come back for that.